One of my more luxurious pieces of makeup in my collection is my Ellis Faas Creamy Lips - Lip Stick. When I am looking to treat myself to something a little more extravagant I like to buy something from the Ellis Faas range. The Ellis lipstick range come under 3 categories defined by texture - Creamy Lips, Milky Lips and Grazed Lips. I am longing to try the other categories they are certainly on my ever growing 'wish list'. 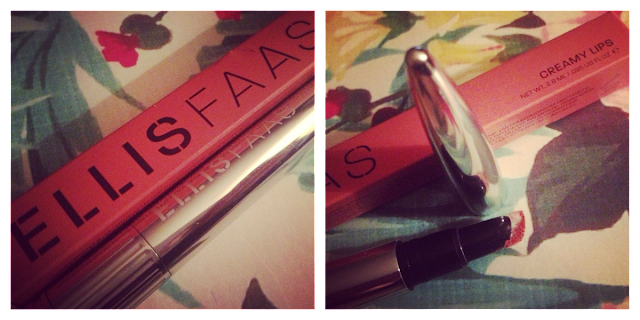 Packaging: The Ellis Faas Lip Sticks are easily recognised by their signature, stylish packaging, they look like large silver bullets, they really are beautiful. They have a shower head applicator and turning function at the base to bring the product up to the top. In my opinion the only negative about the packaging is that you have no idea when you are about to run out, which is no different to the likes of the Touche Éclat, something you can live with for such a nice piece of makeup. Ellis lipsticks are Paraben free and contain Vitamin E which leaves your lips feeling moisturised. I suffer from chapped lips and find I do need to apply a lip balm before hand so the colour sits better and doesn't cling to the dry areas. This colour is 'Rusty Pink' which I would describe as not quite pink, not quite red, a happy medium. I love the 'shower head' style applicator, it helps define the lips perfectly. I don't find this lipstick at all sticky or tacky. These lipsticks are very durable, as with any lipstick you will need to reapply if you have had a few beverages throughout the day however after a coffee, whilst out shopping, for example I find my lipstick stays put. 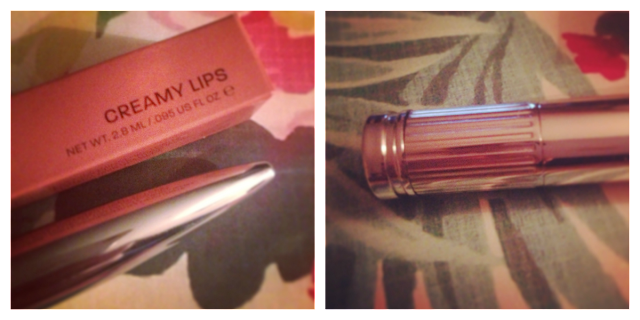 If I find the lipstick has longevity, I am more likely to repurchase it in the future. Unfortunately this lipstick is a whopping £22 (from both EllisFass.com or Selfridges) to buy so this really would just be for a treat , now and again! 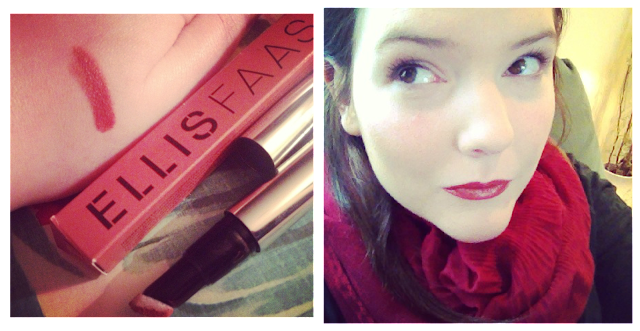 Hi I also never heard of Ellis Fass, i can't wear lipstick but the colour look nice and it look lovely on you. alleviate the strains on your finances at times from the year.